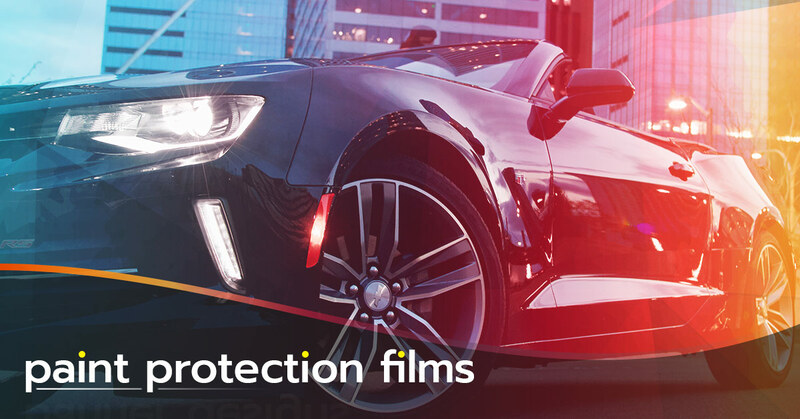 As a proud partner with XPEL Inc. — a leading manufacturer in the paint protection industry — Illustrative Ink now proudly provides Paint Protection Film for vehicles of all types in the Biloxi, Gulfport, and the entire Gulf Coast area. XPEL Ultimate Clear Bra, also known as Paint Protection Film (PPF), is a clear, urethane film that, when installed over a vehicle’s paint, absorbs the damaging impact of road debris as it hits the car’s body — protecting your paint job. Originally developed to protect military helicopter blades, an XPEl Clear Bra’s multiple layers make it highly resistant to road debris. Whenever you drive on the freeway or even in the city, your vehicle succumbs to debris like flying dirt, gravel, and litter of all sorts from vehicles in front of you flinging these damaging items up into the air. When driving at high speeds, this debris can severely impact the condition of your vehicle’s paint — scraping, chipping, and peeling it away with every hit it takes. In addition to road debris, Paint Protection Film can also protect your paint from other sources of potential damage like door dings in the parking lot, shopping carts, bird droppings, and all sorts of hazards your paint comes into contact with on your daily drive. Clear Bra is the only way to thoroughly protect your car’s paint from the elements of your environment. As one of the few providers of this remarkable technology in Mississippi, Illustrative Ink offers a variety of Paint Protection Film installation packages to help you find an ideal solution for preserving the pristine look of your vehicle. XPEL Ultimate Plus uses the technology behind the original world-renowned Ultimate Paint Protection Film and takes it up a notch. This virtually invisible urethane film protects your vehicle’s paint from unsightly damage and maximizes your resale value by using self healing, stain resistance, and superior optical clarity. This is our most popular protective film as it is suited for most traditional automotive paint styles, providing a nice layer of eye-catching gloss to your car’s existing paint job. Think of it as providing your paint with protection that doubles as a layer of fresh, shiny wax. XPEL Stealth is a Clear Bra solution that provides the same elite self-healing and paint protection features as the XPEL Ultimate Plus, but it is designed to preserve the satin finish and matte look of your vehicle’s paint job. Matte vehicle finishes are notorious for being difficult to maintain and even more difficult to repair. With XPEL Stealth, you not only get protection from road debris and other elements that impact your vehicle’s paint condition during your daily drive, but it also enables you to wash your car without fear of affecting the luster of your finish. Keep your matte paint job standing out for the right reasons with this Paint Protection Film specifically suited for the job. You can even apply it to your factory paint job for a simple way to add a matte, textured look to your ride without paying for an entirely new paint job! The Platinum Package offers full body Clear Bra coverage for the ultimate worry-free driving experience. We are able to completely protect every exterior painted surface from head to toe of your vehicle to ensure that no damage is incurred from road debris and other paint-impacting factors everyday use. This will keep rock chips completely off of your mind while enjoying the car and perfectly preserve the factory paint finish. The Ultimate Package is specifically designed to protect the areas of your car that are the most exposed to impact and damage when on the road — the hood, front bumper, backs of mirrors, and headlights. This offers sufficient protection for any daily driven or sport-driven vehicle for those who do not wish to pay for Full Body Protection installation. If you’re ready to give your sports car, daily driver, or any vehicle the protection it deserves, contact our team at Illustrative Ink in D’Iberville, Mississippi to get a free quote for your Clear Bra solutions using XPEL Paint Protection Films technology done by our expert installers.